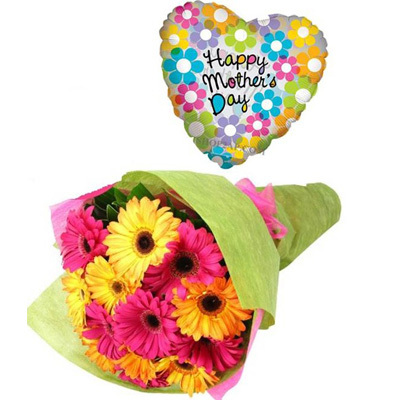 15 Mixed Gerberas With Foiled 18 inch HAPPY MOTHER's DAY Balloon To Greet Her This Mother's Day. Gerberas would be great gift for someone embarking a major change in their life. It would be great wishes to your mother.